Some scenes from my youth. Forgive me. November 1959, say. Four or five of us sit around the medium-fi record player in Dartmouth’s College Hall. Sandy Lattimore, poet son of classicist Richmond and the guy who dubbed me Xgau, is spinning Thelonious Monk’s Misterioso, recorded live at the Five Spot on Cooper Square in 1958. The special source of his beaming, chortling delight is Johnny Griffin’s tenor solo on “In Walked Bud,” which 50 years later remains this fireman’s son’s favorite five minutes of recorded music. June 1960. At 18, I am old enough to go to bars in NYC. I celebrate abstemiously in the cheap seats (a buck? two bucks?) of the Jazz Gallery on St. Mark’s Place, where the bill is shared–you could look it up–by the Thelonious Monk Quartet and the John Coltrane Quartet. I see Monk many times here. Charlie Rouse always plays tenor, with Monk comping and dancing. July 1960, as I recall. A British salesman at Sam Goody’s advises Brilliant Corners over Misterioso. Objectively, he’s right. I all but memorize Brilliant Corners. But in the end I prefer Misterioso. September-October 1964. The Jazz Gallery has folded and the Termini brothers have moved the Five Spot up to the corner of Third and St. Mark’s. A friend with a nearby sublet spends late evenings outside the club’s open windows, listening to Monk. Sometimes we park ourselves on the garbage cans in the St. Mark’s Hotel next door. Once or twice I pay the minimum inside. Still Charlie Rouse on tenor. I caught Monk live after that, but it stopped being so personal. He was beginning to dry up and rock was beginning to flower; also, I had a girlfriend who countered my impolite distaste for folk music with an impolite distaste for jazz. Only then, two years before Monk disappeared to spend his last six years in silent seclusion, editing Gary Giddins at The Village Voice got me back into jazz. A girlfriend who liked jazz helped as well. Monk’s “Tea for Two” was on our wedding tape, and Misterioso proved a lifetime companion. One could even say Monk is my favorite artist. I have myself. Monk has many devout fans and millions of admirers. Among post-World War II jazzmen, his mythic stature is topped only by that of Miles Davis and John Coltrane–Ornette Coleman, Sonny Rollins, and even Charlie Parker don’t quite match up. Yet his literature is scant. Published in 2001, van der Bliek’s useful collection is already out of print, as are thoughtful studies, translated from the poetic French and the klutzy German respectively, by Laurent de Wilde and Thomas Fitterling. Still available is Leslie Gourse’s sketchy, digressive, ill-written 1997 Straight, No Chaser, which at least draws on a few interviews with Monk’s family, as de Wilde and Fitterling do not. But it’s blown away by Robin D.G. Kelley’s big, invaluable new biography. Kelley is a history professor who’s written or co-written many books on African-American radicalism. But as a defender of gangsta rap who’s serious enough about the piano to own a baby grand, he’s not poaching when he turns to music. 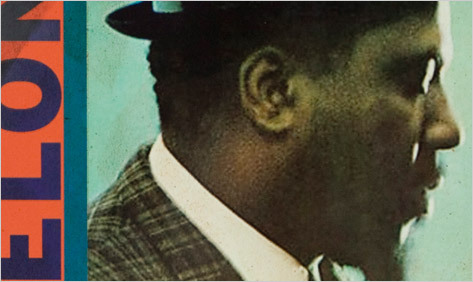 The meticulously researched Thelonious Monk: The Life and Times of an American Original plods some, especially toward the end — Kelley can write, but isn’t great at motorvating narrative. Nevertheless, he performs the essential and gratifying task of transforming a deliberately enigmatic eccentric–“I like to stand out, man. I’m not one of the crowd”– into a warm, familiar, flesh-and-blood presence. Kelley emphasizes that the chapeau-sporting genius who wrote “Nutty” was at bottom a devoted husband and father rooted in a social network dating back to his childhood on West 63rd Street in Manhattan, where he moved from North Carolina at age four in 1922. There Monk lived–except for two teen years in a gospel roadshow and a few sojourns with relatives in the Bronx–until he retreated to the Weehawken home of Baroness Nica de Koenigswater in 1976 and embarked upon his farewell silence. Monk was close to his extended family and a generous friend to many musicians, especially his protege Bud Powell, who eclipsed him for a time–and whose heroin Monk once took the rap for, sacrificing his cabaret card and much of his livelihood for six years in the ’50s. Monk’s genius wouldn’t have come down to us without the nurturance of three women: his wife Nellie, his patron Nica, and his indulgent, indomitable mother Barbara. But unlike Powell or Parker, he wasn’t a sponge–he gave back plenty. Capable of trancing out at the piano for days when perfecting a musical idea, he was also capable of taking care of his two kids when Nellie had to work some job she was too smart for. He was a straight shooter as well as an eccentric. But Kelley also details many bizarre episodes as well as freakouts kicked off by the deaths of people he loved. He’s candid about Monk’s heavy drinking and lifelong reliance on recreational and prescription drugs. And he explores exactly what kind of nutty he was. Kelley’s diagnosis: bipolarism exacerbated by drug use, especially the Thorazine-amphetamine cocktails administered by the Beatles’ “Dr. Robert,” last name Freymann. While establishing that Monk was observant, widely informed, and often articulate — as opposed to the “emotional and intuitive man, possessing a child’s vision of the world” Lewis Lapham fabricated in a typical 1964 profile — Kelley never forgets that he lived above all for music. I wish there was a money shot — a few pages summing up Kelley’s phenomenally knowledgeable overview of that music. And many of his observations were anticipated by such critics as, among others, André Hodeir, Martin Williams, and Scott DeVeaux, whose essays in van der Bliek’s collection I found especially helpful. Nevertheless, a thorough and compelling picture of Monk the musician does emerge. Neither self-taught nor formally trained, Monk knew classical music but was immersed in jazz and Tin Pan Alley. He was very much a New York musician and learned a lot, often firsthand, from such Harlem masters as James P. Johnson and Willie “The Lion” Smith, whose boogie strode where Southerners like Cow Cow Davenport and Speckled Red rollicked. For several years house pianist at the bebop hotbed Minton’s, he got props from Bird and sometimes Diz, though not as many as he thought he deserved. But he was never the true bebopper Kelley sums up as “running substitute chord changes at breakneck speed.” He didn’t record as a leader until 1947, when he was almost 30 and Parker and Gillespie were almost famous. Short-lived in its quicksilver can-you-top-this? phase, bebop was a seismic music that forever opened jazz improvisation to the mold-breaking ingenuity of jazz soloists. But Monk’s historical association with the style made his tremendous durability harder to hear. Next to Duke Ellington, Giddins and DeVeaux note, Monk is “the most widely performed of all jazz composers”–based on only 70 copyrights where Ellington notched 2000-plus. He was a hell of a piano player. But as Whitney Balliett put it in the most famous Monk sentence ever written (which Kelley fails to cite): “His improvisations were molten Monk compositions, and his compositions were frozen Monk improvisations.” Maybe the whole-tone scales he loved sounded weird; maybe they still do. But because he was such a diligent composer, the structural underpinnings of his music are always there to comfort anyone willing to meet it halfway. Because Monk liked to take things slow, it’s easy to miss how strong he swings at first — many bassists and drummers did miss it, until he explained. But his pulse is always there doing its work. Similarly, the hallmark of Monk’s simpler tunes (“Misterioso,” “Bemsha Swing,” the easy-listening “‘Round Midnight”) as well as his mind-twisters (“Little Rootie Tootie,” “Trinkle, Tinkle,” the impossible “Brilliant Corners”) is their dissonances, a/k/a harmonies, often augmented by the disquieting silences built into their phrasing. But by now we’ve learned how pleasurable those tunes are anyway. Proud of his innovations, Monk didn’t identify as a traditionalist. But rhythmically and melodically, one reason he sounded so wiggy, so strenuous, so difficult was that he was committed to honoring the best of the past as he told the world how he felt now. Thus Kelley diminishes as merely “hilarious” the same “Smoke Gets in Your Eyes” Martin Williams considers “a recomposition” that strips the Jerome Kern perennial to “its implicit beauty.” And thus Williams disparages the notion that Monk would consider playing his first “Tea for Two” “in a corny, ricky-tick style” even though the Criss-Cross version seven years later moves slyly in just that direction. As DeVeaux observes, Monk’s “affinity for the popular songs he grew up with” is probably “more deeply embedded in jazz as a whole than its most ardent champions might care to admit.” But it ran even deeper in Monk himself. So Monk was less “avant-garde” than his scales and structures made him seem. He was an entertainer, too — when he finally began gigging regularly at 40, the little dances he did as his musicians soloed definitely brought in the hoi polloi. But when I look back at myself as the rock critic I had no idea I would become, I still ask myself why I was so drawn to Monk at first, and why I returned so readily when I was ready. Monk’s tunes weren’t sweet like marshmallows, but they sure were sticky, and one function of his comps was to point players back to the molten core indicated by the title on the setlist. Monk’s painstaking compositions, reworked standards, and insistence that his sidemen learn his book by ear so they wouldn’t be tempted by the changes — all bespeak a committed melodicism that an 18- year-old jazz fan destined to spend his life listening to pop songs must have felt even when he lost the melody himself (which he still does sometimes). As Balliett put it in a quip closely related to the famous one: “His improvisations were ingenious attempts to disguise his love of melody.” Damn right he re-revised as he felt the moment demanded, occasionally with satiric intent. But I didn’t nominate his “Tea for Two” for my wedding tape because I thought he was mocking domestic intimacy. I nominated it because I sensed he knew how to adjust to its ups and downs a lot better than Victor Youmans — or Art Tatum. And also because he was willing to grant the happy couple a catchy tune even so. Ah yes, Art Tatum. In my view, the anti-Monk. Griffin recalls the night when Monk executed “a Tatumesque run on the piano and my eyeballs and my ears almost fell off of my head,” only to hear Monk add, “But I don’t need that.” Maybe, although listening to Monk’s indelicate recorded arpeggios up against Tatum’s or Powell’s, I wonder how long he could have sustained or varied that run and understand why speed-crazy bebop fools dissed his chops. What there’s no maybe about is that Monk didn’t need speed. His bent notes and unlikely fingerings evinced a technique few other pianists dreamed of, and he had power. Monk’s strength in the lower regions of the piano is well understood — Ellington once introduced him as “the baddest left hand in the history of jazz.” But jazz chroniclers never seem to mention the singular muscularity of his two-handed attack. Some players–Kenny Barron and Cecil Taylor are two I’ve found — emulate that muscularity on Monk covers, but even acolytes like Barry Harris and Fred Hersch cultivate a lighter touch overall. Though there must be others, the only album-length exception I know in postwar jazz is by none other than Duke Ellington: his late great Ray Brown collaboration This One’s for Blanton. But go back to Albert Ammons and Pete Johnson, Willie “The Lion” Smith and Cow Cow Davenport, or fast-forward to any number of rock-era players — Professor Longhair! Jerry Lee Lewis! hell, Elton John! — and you’ve got a contest on your hands. No wonder the future rock critic loved Thelonious Monk. He played loud. One benefit of finally writing a Monk piece is that I got to spend a month with the core of his catalogue: his work for Blue Note (1947-1952 plus the 1957 Carnegie Coltrane concert), Prestige (1953-1954), Riverside (1955-1961), and Columbia (1962-1968). I’ll play most of it again with relish, though there are more posthumous live albums than any nonspecialist needs. But I can make a few observations other nonspecialists may find useful. 1) Most (not all) of the 39 tracks on the two Blue Note Genius of Modern Music discs are precious, including the alternate takes (available in more profusion on more expensive collections). But if one stuck to the 13 on 2005’s once budget-priced, now out-of-print The Very Best, one would have something like what the title promises. 2) Monk was never recorded more acutely than on Prestige. Thelonious Monk Trio, with drumming by both Art Blakey and Max Roach, is his finest showcase as a composer, and not only does Thelonious Monk/Sonny Rollins feature Rollins, so does the one just called Monk. Boo-yah. 4) John Wilson fairly complained that Monk was “more placid” with tenor man Charlie Rouse, the only saxophonist on the Columbias and the only saxophonist I ever saw him with. But I’ll keep playing Criss-Cross, Monk’s Dream, It’s Monk’s Time, and Monk. anyway. Maybe even Underground. 5) Why wouldn’t a person buy Thelonious Monk Quartet With John Coltrane at Carnegie Hall? 6) Though it’s drawn largely from keepers recommended above, I feel fortunate to own a gorgeously intelligent Monk compilation called The Art of the Ballad. Most of the others I can do without. 7) On Tom Moon’s say-so a year ago, I purchased Carmen McRae’s Carmen Sings Monk. The lyrics vary. The performances invariably turn Monk lyrical. Monk played with many titans. Coltrane and Rollins, whew; Mulligan, no slouch; Coleman Hawkins, always a fan; Gillespie, Parker, and Davis, wary bosses. But when Monk took on Coltrane or Rollins or even Mulligan, it wasn’t just Monk’s record anymore — their voices remained very much their own. So because Monk’s songs evolved in his mind and practice, there was an advantage in entrusting them to Charlie Rouse, who came to know Monk’s music like no one else. Rouse was so unfazed by Monk’s provocations that you had to root for him, but his own records never took off. He needed Monk’s guidelines. Mustering a breathy sound with plenty of grit and body to it, he specialized in down-to-earth solos and sensible ripostes to the big man’s outlandish suggestions. I prefer the studio albums featuring Rouse, meaning those Columbias, to the inevitable glut of catalogue-stuffing live ones (try Monk in France first), especially because Monk’s gigs settled into the half-magnanimous, half-lazy pattern of giving his rhythm players solo room on nearly every number; over many sets, I grew to resent drummer Frankie Dunlop far more than his ingrained swing and subtle shuffles deserved. But all we have of Johnny Griffin’s time with Monk is two live albums--Misterioso and the less intense Thelonious in Action. Never mind At the Five Spot, which boils them down to one disc –you need the outtakes. A faster, sharper, and more forceful player than Rouse who’s less distinct than the titans, Griffin is my favorite Monk saxophonist. What’s odd about the pairing is that the young Griffin wasn’t a ballad guy, while Monk’s watchword was “it’s really harder to play slow than it is to play fast.” Monk prevails, natch, but not without giving a little–his Griffin band ups the pace just enough to warm a rock and roller’s fundament. Or maybe it’s Griffin’s irrepressibility making it seem that way, like when he takes off on Misterioso’s “Blues Five Spot,” with Monk comping cordially for a while before the entire band lays out and lets him loop-de-loop on his own for 45 seconds. Like every soloist, Griffin had his tricks, mannerisms, and pet phrases. Listening hard, I hear tiny elements of the solo I’ve so long adored in between 2:21 and 2:52 of Thelonious in Action’s “Evidence,” and plenty more in his four- minute workout on that CD’s “In Walked Bud.” But let me praise my beloved. On Misterioso, Griffin’s “In Walked Bud” solo starts less than a minute in, after a slightly fractured eight-bar piano intro and 32 bars of AABA by the quartet. Although Griffin follows the song’s structure obediently throughout, he obscures the theme posthaste, and when it diddybops back toward familiarity for a couple of bars festoons it with the first of many high wails. Griffin’s tone is mostly smooth and Monk’s comping mostly supportive as a melody more Griffin than Monk yet still “In Walked Bud” saunters and dips and stutter-steps and soars and unrolls till Monk lays out at around 3:00. Then, boom, Griffin goes crazy. Phrasing double- and then triple-speed toward the top of his register while signalling intermittent slowdowns with low r&b honks and blats, he works fast- moderate-fast as if extending a God-touched Sam “The Man” Taylor break toward an infinity lasting three minutes and twenty-one seconds. Monk yells or grunts approval at 3:42, 4:35, 5:38. But at 6:21 he takes over, tweaking an all but straight A theme that he shifts between his playful right hand and his sardonic left for two minutes. After Ahmed Abdul-Malik wastes 1:20 on a bass solo, Roy Haynes elicits more of the tune from his trap set than Griffin granted on his sax before the ensemble bids us a loose, energetic unison farewell. Cut immediately to two minutes of solo “Just a Gigolo,” a lugubrious chestnut Monk recorded six times and counting. One needs some certainty in life. Gazing steely-eyed at this solo, which I recognize is not a certifiable peak of Western civilization, I suspect that what really got and gets me about it is r&b elements that were rarely if ever so blatant in Griffin’s work as a leader — coexisting here with intimations of free jazz. Somehow Monk, who except for that gospel roadshow was jazz and pop through and through and never gave Ornette much respect, brought the r&b and the free out in Griffin in what sounds like youthful defiance even if it wasn’t. And somehow Monk excitedly vocalizes his approval before restoring his own deeply satisfying order-in-disorder two different ways. No one now questions the musicality of that order. But the generosity of spirit that precedes and nurtures it often goes unremarked. Kelley’s vision of Monk’s life should make his generosity easier to perceive. But as I’m sure Kelley would insist, it’s on record for anyone with ears to hear.